Magnetism of some materials was in 19th century explained with imagination of A. M. Ampere (1775–1836). His imagination was that there has to exist molecural currents (electirc charges moving in loops) in magnetic material, and those currents create magnetic field similarly as in electromagnet (coil, solenoid) the field is created with current in turns. Following the Ampere hypothesis about elementar current loops, A. Einstein proposed an experiment, which had to show that origin of molecular currents are electrons (discovered by W. Thomson in 1897), as also thought H. A. Lorentz (1853–1928). 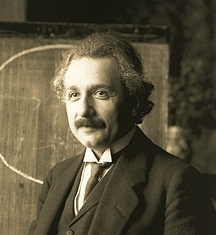 Results of experiment made by A. Einstein (1879–1955) and W. J. de Haas (1878–1960) showed that reality is much more complex. Beside the orbital magnetic momentum, in that time unknown own magnetic orbital momentum of electron – so called spin, which participates in that phenomenon, was discovered by Uhlenbeck and Goudsmit in 1925. Except the historical meaning, Einstein de Haas experiment helps to explain spin, resp. 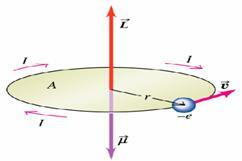 that own magnetic momentum has same effects and nature as classical angular magnetic momentum. Both momentum determine and effect behaviour of material in magnetic field. Spin, which has no classical analogy, can be imaginated with magnetic effects on matter including energy balance. In magnetomechanics, Richardson phenomenon corresponds to Einstein–de Hass experiment. Einstein–de Haas experiment (with results published in 1915) preceded together with Stern–Gerlach experiment (1922) the teorethical discovery of spin in 1925. 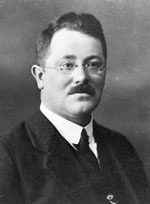 A. Einstein, W. J. de Haas: Experimenteller Nachweis der Ampereschen Molekularströme, Deutsche Physikalische Gesellschaft, Verhandlungen 17 (1915): 152–170. A. Einstein, W. J. de Haas: Experimental Proof of the Existence of Ampere's Molecular Currents [english], Koninklijke Akademie van Wetenschappen te Amsterdam, Proceedings 18 (1915–16).